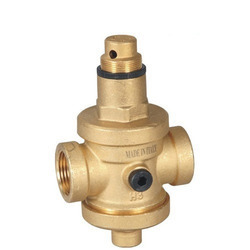 Typically the services attained from the brass ball valves include: multi purpose shut off valve which is widely used in domestic hot and cold water systems. It is also used in natural or bottled gas and compressed air systems on an industrial scale. Non-return valve (NRV) is a valve that normally allows fluid (liquid or gas) to flow through it in only one direction. Pressure Reducing valve reduces the pressure of the water that goes through it, and is used to obtaining a regulated and constant value at its outlet. ... The WATTS INDUSTRIES direct action pressure reducing valves (PRECISIO, U5B, REGLEAU) regulate the downstream pressure as well with or without water flowing. Brand Guide, DRP, Zoloto, Leader. A non-return valve can be fitted to ensure that a medium flows through a pipe in the right direction, where pressure conditions may otherwise cause reversed flow. A non-return valve allows a medium to flow in only one direction. The flow through the non-return valve causes a relatively large pres. Y-Strainer Application Information. Y-Strainers are devices for mechanically removing unwanted solids from liquid, gas or steam lines by means of a perforated or wire mesh straining element. They are used in pipelines to protect pumps, meters, control valves, steam traps, regulators and other process equipment.